Last week we announced the launch of Co-operative Medical Care. I am absolutely thrilled to offer our members this new service and to welcome our new medical care colleagues to the Society. 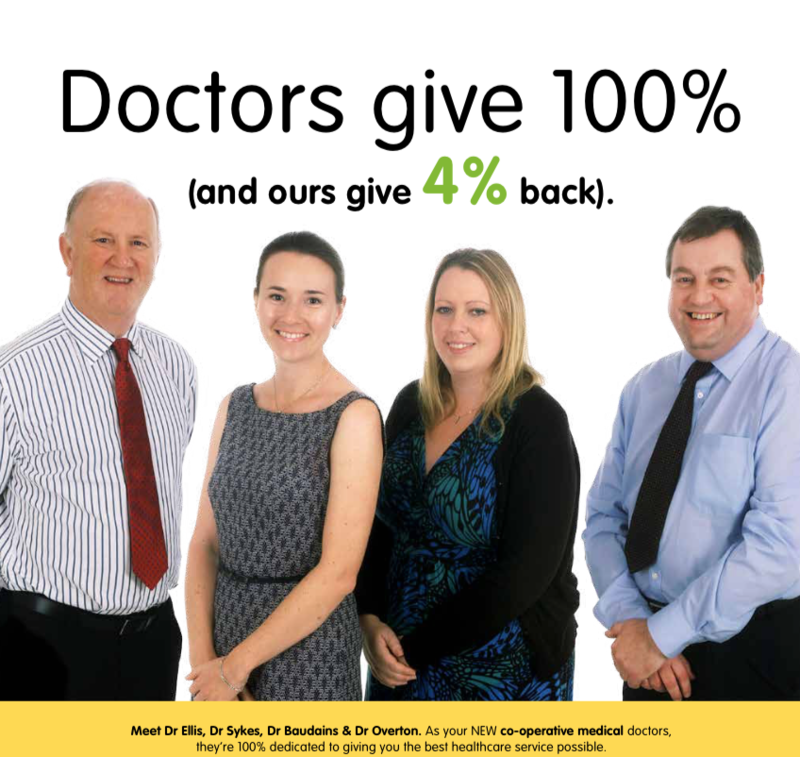 Co-operative Medical Care unites two well established medical practices, 41 David Place Surgery in St Helier and St Peter’s Surgery, located above our Grand Marche in St Peter. Dr Brian Ellis and Dr Michael Overton are joined by Dr Sian Baudains and Dr Jennifer Sykes in this new collaboration. Dr Sykes has been a GP in the island for several years and we are very pleased to welcome her to the practice. We are also delighted to welcome our practice nurse and the team of experienced medical administration and reception colleagues who have provided support for the doctors for many years, and will continue to do so as part of Co-operative Medical Care. As demand for the service grows we hope to welcome new doctors, nurses and other healthcare professionals to the team. I have been asked about the rationale behind our decision to offer a new, more affordable GP service and the answer is really very simple: we have listened to our members. The Society is a member-owned co-operative that exists for the benefit of our members and they have informed us that they would like their healthcare to be more affordable, transparent and easily accessible. A survey conducted by the Jersey Consumer Council in 2012 showed us that a lot of islanders were feeling the same way. It was becoming increasingly clear that the Society could leverage its scale and experience to address these issues and offer a new, more affordable medical care service for members. Simply put, we realised we could help, so we did. As a father of two young boys I know how doctor’s bills can mount up. First-time parents are hit particularly hard through a combination of reduced income and increased anxiety, I remember when Harris was small, every burp or grumble seemed to lead to an urgent trip for a check up and at £45 each, we spent a small fortune! How is Co-operative Medical Care addressing members’ concerns about GP healthcare in Jersey? Our practice is focussed on helping Islanders pay less for high quality healthcare, particularly families with young children. A standard consultation fee is £30 with Society members receiving free consultations for children under five, lower prices for children aged between five and 18 with 4% dividend on healthcare services. 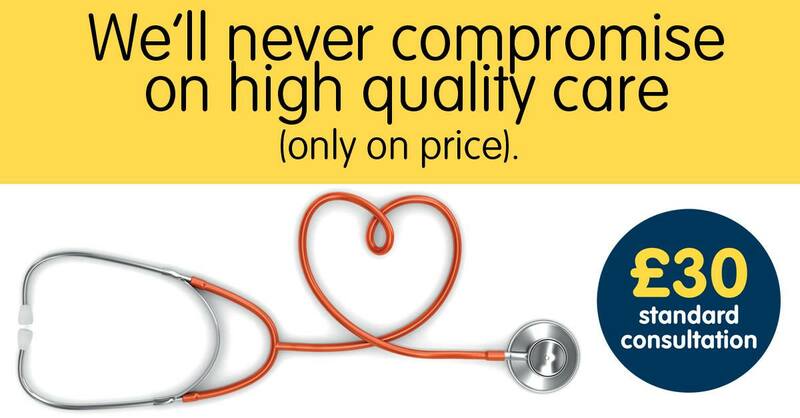 Co-operative Medical Care provides clear, transparent pricing and information for patients, there are no hidden costs. Price lists are clearly visible in each practice and available on each practice website and patients will also have the option to visit the practice nurse for some treatments. Our surgeries provide a convenient service for our patients; Co-operative Medical Care operates from three GP surgeries, located in David Place in St Helier, above the St Peter Grand Marche and at New Era Health Centre in Georgetown, patients can visit the surgery that is most convenient. We are committed to providing the best possible service for our patients, so an easily accessible and formal complaints procedure will be in place. We are already collecting patient feedback and will be organising Patient Participation Groups so we can engage with those who have used the service and use this feedback to continually improve our service. All information gathered will be made available to our patients and members via our website. Our central support teams will enable our GPs to spend more time caring for patients by helping to manage some of the non-medical, day-to-day tasks that are essential to any busy medical practice, such as organising the cleaning and maintenance of the surgery buildings, fixing IT issues, looking after the finances, managing marketing and advertising and looking after members share accounts. The result? More time spent caring. Looking forward, there are a number of key challenges facing the current healthcare system in Jersey. The population is rising slowly but ageing rapidly and according to States of Jersey figures, between 2010 and 2040 the number of islanders over 65 will rise by 95%. The age of the population and the increased incidence of disease is expected to generate a huge increase in demand on the health and social care services, something that will be funded by a relatively smaller working-age population. Consultations are expected to increase from 343,000 per year in 2011 to an estimated 365,000 per year by 2020. The States of Jersey White Paper ‘Caring for Ourselves, Caring for Each Other’ outlines a clear vision for the future of healthcare provision in Jersey. Based on this, we are likely to see greater involvement of nurses and other healthcare professionals, increased care in the home and community settings, increased use of technology such as Telecare services and a greater choice for patients. We are confident that our new medical practice will be well positioned to adapt to the challenges of the future and will continue to set the standard for an affordable and high quality service for islanders.